The truth is quite the opposite: Latinos have long been leading the fight against dangerous air pollution that contributes to climate change in their communities. And why not? Latinos are disproportionately impacted by both air pollution and climate change. It’s why earlier this year we launched Ecomadres, a national partnership between GreenLatinos and Moms Clean Air Force that addresses issues of clean air, climate, and toxins that affect the health of Latino children and families. We want to accelerate a people-powered movement that brings Latinos together around this broad and inclusive message: when it comes to our children’s health, we’re all in this together, and every voice counts. In Latino communities, we discuss the connection between climate and our health and livelihoods—and how failing to take action on climate change comes at serious health and financial cost for Latinos and all Americans. In fact, poll after poll–including the recent Latino Decisions conducted on the eve of the midterm election—shows that Latino voters, regardless of party affiliation, want Congress to get its act together on climate. Fighting climate change and protecting the environment are priorities among the Latino community, nearly as important as immigration and job creation. This movement is gathering steam across the country — quite literally—with regularly scheduled conversations held over steaming-hot coffee. These “cafecitos” bring like-minded Latinos together in intimate spaces like living rooms, backyards, classrooms, and coffee shops. We are currently organizing in Arizona, Nevada, New Mexico, Texas, Colorado and Florida with plans to expand even further in states with large and growing Latino populations. We have also supported Ecomadres hosting their own volunteer-led cafecito in California, Illinois and Tennessee. Latinos can be powerful change-agents and by offering a safe space to speak up and be heard, we hope to play a role in a growing movement to empowers new generation of Latino environmental activists. Over coffee, we talk about how climate change and toxic pollution, such as mercury, affect our communities. We talk about how Trump’s EPA is trying to undermine mercury rules and other protections that keep our children safe from fossil fuel pollution. Our ambition doesn’t stop there: we also empower Latinos to raise their voices within their communities, with their elected officials, and at the ballot box, and it’s working. In some states, the response has been so positive that we are shifting from monthly to weekly “cafecitos” to keep up with demand. Take Maria Prentice as but one example. Maria is a married retiree living in Las Vegas who just attended her fifth “cafecito.” She credits these gatherings with giving her a real sense of belonging among a community of passionate thinkers and doers. “Ecomadres is one big family with shared interests,” as she puts it. In her retirement, Maria looks after two grandkids who respectively suffer from asthma and allergies made worse by extreme heat — something increasingly common in Las Vegas, where temperatures routinely exceed 110°F in the summer. Having seen climate impacts like extreme heat in both her hometown of Guadalajara, Mexico, and her adopted hometown of Las Vegas — and having seen how these impacts directly affect her grandkids—Maria wants to do all she can to be a force for change. 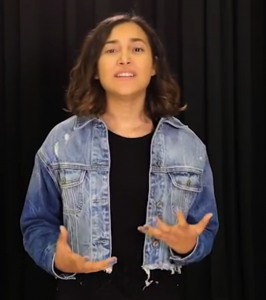 “When we look at what is happening to our planet, its people and all species really, we have to say that it’s going to take more people getting involved to get this right.” Maria is right, we need everyone pitching in to make change. As the popularity of our “cafecitos” make clear, many Latinos like Maria seek a connection, a group of madres armed with reliable information and solutions through online resources, articles, action tools, and on-the-ground events. 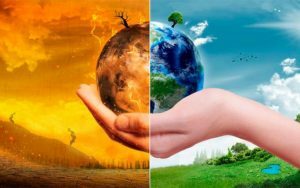 In fact, there are some 56 million Latinos in the U.S. who are especially vulnerable to the health threats posed by climate change because of where they live and work. A disproportionate number of Latinos work outdoors in states that are among the most affected by the trifecta of extreme heat, air pollution, and flooding. Given these realities, is it any surprise that Latinos know that part of what they can do to protect their families is to support action on climate change? The reason Latinos are more focused on climate change is that their families here and abroad are already experiencing the consequences of inaction. Ecomadres are transforming those experiences into action. Mark Magaña is the Founding President & CEO of GreenLatinos, a national coalition of Latino environmental, natural resources, and conservation advocates. Dominique Browning is the co-founder and senior director of Moms Clean Air Force, a community of more than 1 million moms and dads united against air pollution. 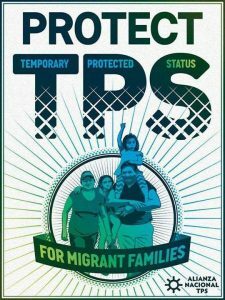 Next PostWhat Do We Know About Immigrants with Temporary Protected Status?